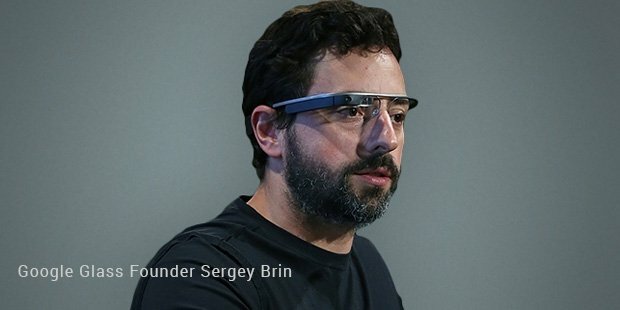 Google Glass is a wearable computer attached to your regular optical glasses. It is being developed by Google X, yes the same team that is working on other seemingly impossible projects like the driverless car. Google Glass shows information in a hands-free format communicating with the internet via natural language commands. All those who use glasses for reading and distance need not worry, Google has confirmed that the Google Glass will eventually work with the wearer’s prescription, meaning that everyone can have it attached to their respective glasses. The good thing about the Google Glass is that it is not in any way dependent on the Smartphone. It is a totally independent device which can function with Wi-Fi and Bluetooth data connection, even if that information is coming from an iPhone. That’s a great feature to boast of. So when you go out, you don’t need to carry your Smartphone with you. Here are some negatives that you may need to consider. You can’t adjust the volume levels or display brightness. You can’t re-arrange the application cards in the interface or change the default screen. And the biggest drawback is that you cannot disable Bluetooth and Wi-Fi which are always on. On removing the glass the display automatically disappears. One thing you can modify is how far you should tilt your head for the display to pop on. Well you can enable and disable head detection when you like to do so. The Titanium band is pretty flexible and looks chic but the problem is that it cannot be folded. So you cannot slip it in your pocket and more so need a huge case to carry it around, which is a drawback. Also Google has made it clear that touching the exposed refractive display can damage it pretty easily. So you need to be really careful handling it. Here is how you can activate the Google Glass, just tilt your head up or lightly tap the capacitive touch portion on the side. The default display shows a clock with ‘ok glass’ written under it. 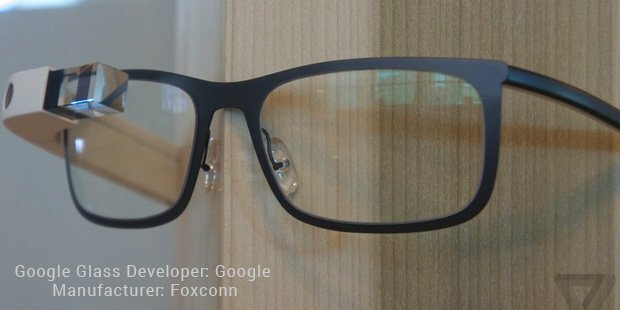 The Google Glass works on a TI OMAP 4430 processor, with 1 GB RAM and 16 GB memory. Your Google+ account is set as default and all data will be automatically be stored in it. The battery performance is pretty much on the lower side. It can only stay up to 5 hours, that means watching lengthy movies could be difficult and you must stop in between to charge. Setting up a Google Glass headset is pretty easy by the way. Just go ahead and install the MyGlass app on your Smartphone and just pair the headset. Bluetooth will be enabled and you will see a massive QR code appear. Just hold that code in front of the Google Glass and now you have successfully signed into your account. Now you can use the app to configure your headset as you like it. You can select the Google+ circles you want to share your content with and the Wi-Fi networks you want your headset to connect with. Swiping forward will take you back in time showing the recently captured photos, mixed with emails, messages and notifications from your apps. Swiping backward will show your connection status and battery life. Tapping on any photo or video gives you the option of sharing or deleting it. It just takes a few minutes to get used to the device, then it is pretty easy to get around. After you enable the glass, you have to say, “Okay, Glass” in order to use the Glass in hands-free mode. Then you have to either tap the side or tilt your head in order to make the glass obey your commands. The most basic commands include, ‘Take a picture” or “Record a video” or “When was the first mission to the moon launched?”. Now this question’s answer will be displayed on your screen. But for a lengthy answer, you can read the first few sentences only. Google Glass can take commands for giving directions which is a pretty cool feature. You can take photos either by voice or by hitting the release button on the top-right of the Glass. For video, hold the button for a moment and it captures a 10-second video and if you tap on it twice it will record until you press the button again. And you can share these images and videos with a few clicks on Google+ or delete them if you don’t like it. Though it takes time before you can find your shared items online. Well there’s no option right now to send your images directly to facebook or twitter. Messaging is a bit clumsy on Google Glass. You can see the first few lines of the message and you have to select ‘Read More’ if you want to see more. You can also have the email or message read out to you. And also send out the message by orally dictating it. But the problem is that if it hears you wrong then you have to speak out the whole message again. The Hangouts are really unique with your friends unable to see your face but able to see all that you are seeing as you walk on the street or take a ride. It has a 5-megapixel camera capable of recording 720p quality of video. It doesn’t do a great job in low light but can give some great images in daylight. Overall for a 1,500 $ dollar device I think one will be happy with features it possesses. One can have a taste of the future in a sense. But it leaves us with lot improvements to be desired for. You are definitely going to stand out in a crowd and everyone you talk to may ask you this question, “Are you recording this?” This is not a device for the common folks. In the future you will find it shaping to its highest potential and the best part is it won’t be priced so high. 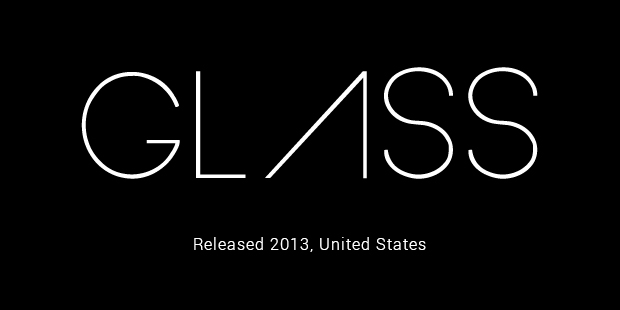 So waiting for the day when everyone can experience the world through a Google Glass.